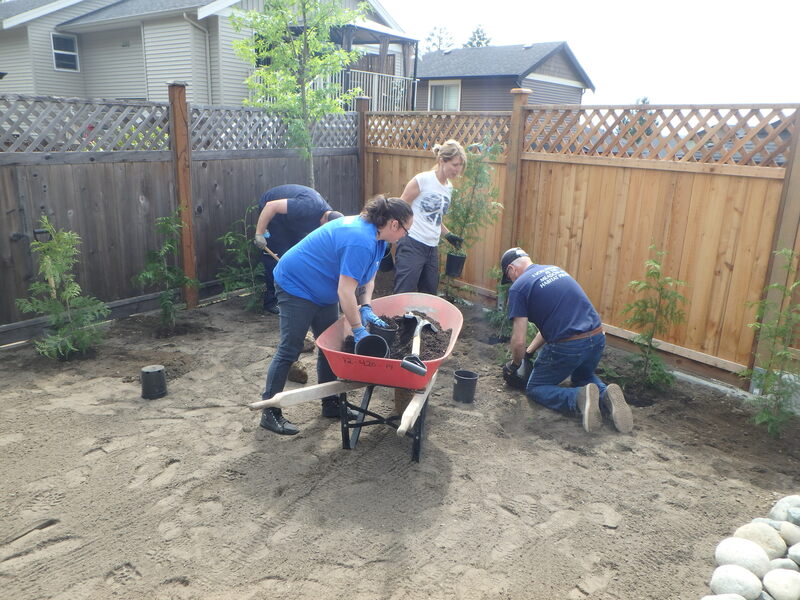 The Meadow Hill development is the biggest project to date for Habitat for Humanity Mid-Vancouver Island. 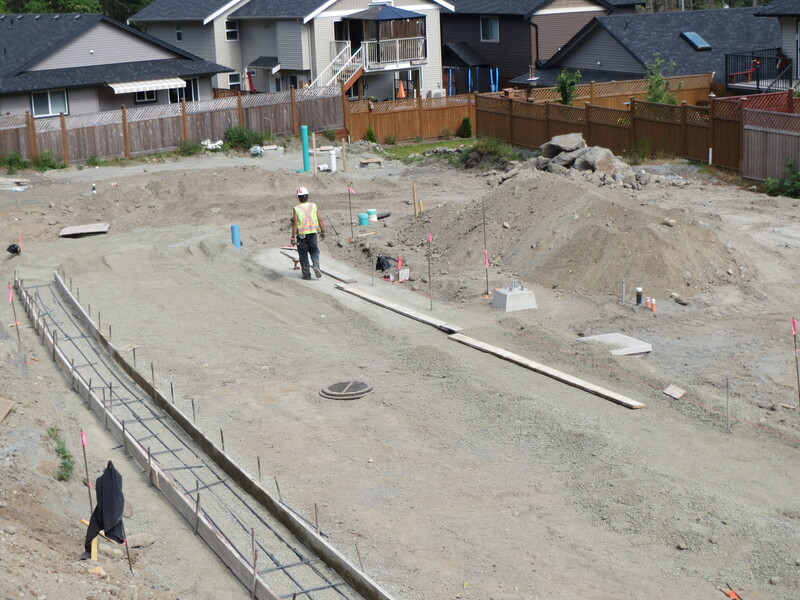 A lot was purchased on Extension Road at the south end of Nanaimo for a six house strata, being built in three phases, two houses per phase. In February 2014, the 30,000 square foot lot was purchased for $290,000. The completion date for the Meadow Hill development was December 2017. The Groundbreaking ceremony took place on November 10, 2016 for Phase 2, Unit 3 and 4, both single detached four-bedroom houses. Audrey and her three children, Averie, Anastasia and Angel were chosen as the future Habitat homeowners for Unit 4. After the Dedication ceremony, Audrey said, “It’s not something I ever expected … and now to have the keys; it’s a light at the end of the tunnel. To find affordable housing that fits within my budget, I would have had to put all three kids in one room because a two bedroom is $1,200 or more, and that’s just rent. That’s not including the sky-rocketing hydro bills and putting food on the table and clothes on their backs, and that’s not even thinking about myself. 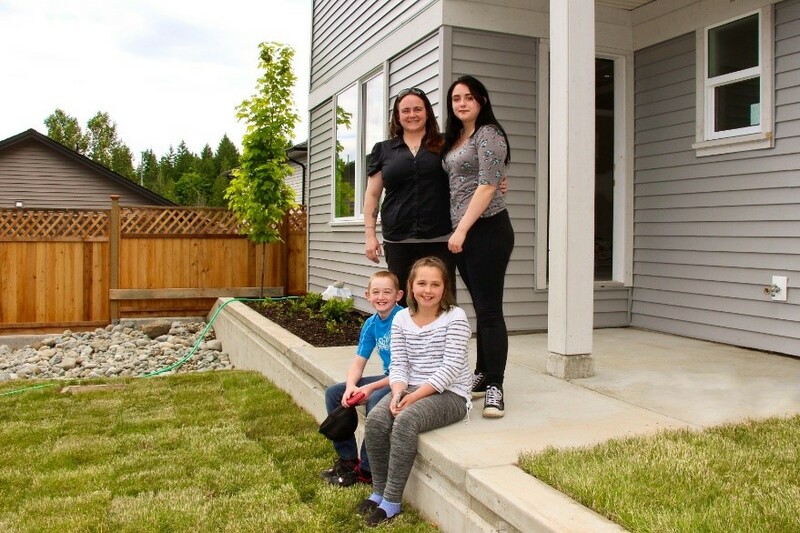 That’s just making sure their needs are met first.” Audrey asked her children what having this new home meant to them and they said, “Happiness; a place to play; excitement!” Audrey and her children moved into their new Habitat home on August 1, 2017.